Scottish Book Trust is looking for organisations to help them gift free copies of an exclusive book across Scotland during Book Week Scotland (19-15 Nov 2018). The book is filled with stories written by members of the public, on a particular theme. This year’s theme is Rebel. The collection of stories represents the variety of rebellion across Scotland. From standing up to a teacher for the first time or campaigning against a local library’s closure, these stories highlight how important rebellion, big and small, is to our everyday lives. It also contains commissioned pieces from well-known authors including Anna Stewart and Professor Sue Black. The book is suitable for ages 14+ as it contains some strong language and mature content. The minimum order is 25 copies. 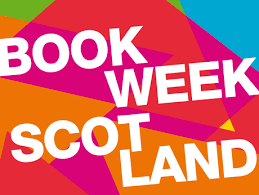 Book Week Scotland is an annual week-long celebration of books and reading, run by Scottish Book Trust. This year, it will take place from Monday 19th – Sunday 25th November with a packed programme of events and activities planned throughout the country.